The CB125F needs to be two bikes in one: a bike for those seeking an affordable commute and also a bike for those entering into the two-wheeled world. The 2015 model has hit the nail on the head in both categories. Honda have introduced an all-new steel frame and 18in six-spoke wheels (up from 17). The CB125F also gets an ever-so-slightly fatter 120mm telescopic fork up front and the same five-step spring preload adjustable rear shocks (now painted red for added speed) – they’re budget but do the job. The single disc brake up front and drum brake at the rear are competent enough to stop you in a hurry, and more than adequate for both the learner rider and those whizzing through London’s rush hour. There's a complete lack of vibrations from the engine. Singles suffer more from primary vibes than most engine configurations, but an added balancer shaft has reduced vibes in every gear, even at top speed. The engine is virtually new with very few parts retained from the old motor. One of the most important additions is Honda’s latest fuel injection system, which, coupled with a revised cylinder head and exhaust system, has increased the bike’s low to midrange torque and fuel economy. As a side effect, the power and torque figures are down from 11.1bhp to 10.46 and 8.2ftlb to 7.52. But working with such low numbers in the first place, you’re not going to feel it. And the revised mapping and FI certainly adds more of a poke low down which makes it stronger when pulling away from lights than the previous model anyway. 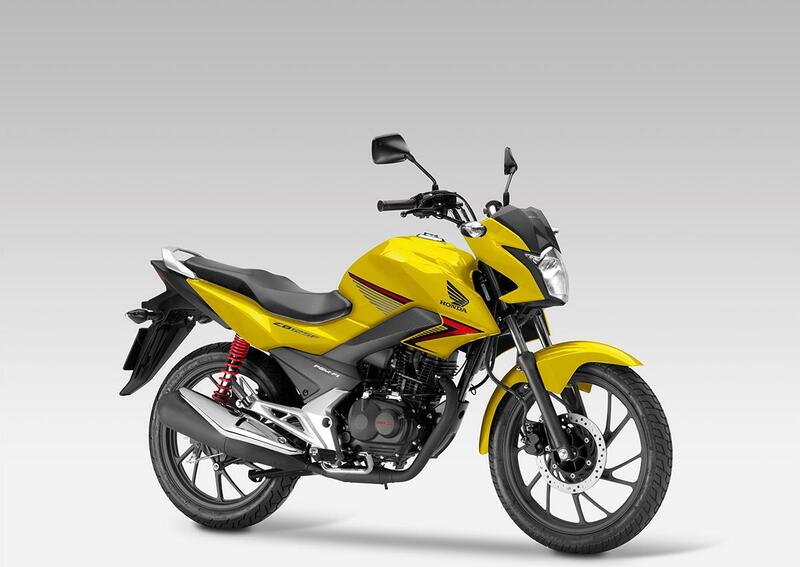 Production has switched from India to China, but the little CB125F still retains the usual Honda build quality. Everything feels well put together, and nothing stands out as being overly cheap. At £2499 the CB125F is £200 cheaper than its predecessor which makes it excellent value for money. Honda claim upto 145mpg, but we only managed 107mpg, although that's still enough to cover over 300 miles to a tank. 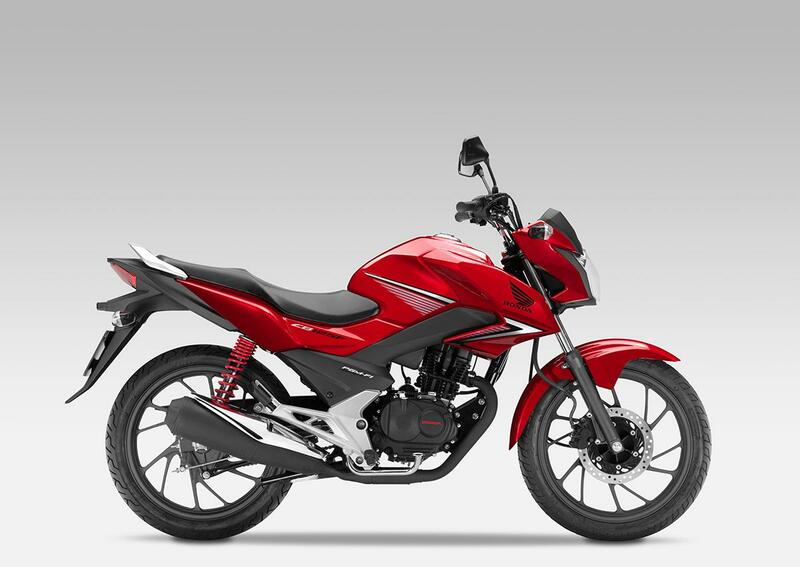 The CB125F is a budget bike, and as such the equipment you get as standard is incredibly basic. There's no ABS and the dash is a simple analogue affair, with digital gear indicator. It's basic, but it's all you need. 12 owners have reviewed their HONDA CB125F (2015-on) and rated it in a number of areas. Read what they have to say and what they like and dislike about the bike below. Rock hard suspension and gutless. Perfect bike for a CBT and little else. Had one as a loan from insurance company and it is so boring i have gone from riding everyday for fun to only when I need to get somewhere. The moment I have another bike sorted out I want it out of my garage. It manages to take riding a motorbike and make it boring. Awful suspension and weak brakes even for its lack of weight. It's a solid engine that never misses a beat. But it is so boring! Twist your wrist and it just farts a bit louder and oh so sloooooowly speeds up a little. Disappointing even for a 125. Seems to be a pretty solid build. Have to admit great fuel economy. First ever bike after CBT so although nothing to compare it to directly, it satisfies everything I was looking for in a bike in order to build-up my experience and skill. Yes I wish you didn't have to red line it to get over 60mph but apart from that i am really happy with my purchase. Nice upright riding position. I "practice" regularly and include emergency stops and have not locked up or skidded [only dry surface], rear brake works well to bring to stop from traffic appropriate speeds. Pulls away at traffic lights briskly to give you good space before they catch up then will cruise at 50mph for as long as you want. I am aware of the comments regarding a tendency for corrosion but bought brand new and so far clean as a whistle. I want to keep the dealer service book up to date so will be taking in soon for 600 mile service, been quoted about £70. Looked at brand new 125cc prices from all main brands and rang Honda dealer who informed me they had a couple of pre registered CB125Fs with £400 off list price making it £2,500, came with 1/4 tank fuel and L plates fitted, Padgetts of Batley West Yorkshire. When I bought my bike, it had already done 7500 miles but had only one previous owner. I had bought it from a respected Honda Dealer, for quite a good price (£1800). I would highly recommend this bike if you're a first-time rider (like me). The fuel economy is just idiotic, I got 350 miles out of a full (13 Litres) tank. The seat can get uncomfortable after riding for more than an hour or so. However, I am a frequent commuter and use my bike nearly every day and mine hasn't broken down yet, unlike other reviews. My total mileage is over the 10k miles now done 2500+ miles in 5 months, and i haven't had any problems so far, apart from getting new tyres and replacing chain and sprockets. The seat can be improved upon and the exhaust pipe is very susceptible to corrosion and rust. It is very cheap to fill up the tank with petrol. I spent nearly £15-£20 a month on petrol. Servicing costs are ok, for a respected garage you're looking at £100+, for a lesser known garage i think it is less. I bought this bike after a decade away from riding, due to taking a new job involving a commute through and out of London. After learning the cost of insuring the Moto Guzzi I wanted I reluctantly opted to get a 125cc for a couple of years in order to build up some NCBs. Five months and 3500 miles on, I have to say I love my CB125F and I'm keeping it. It's small and agile enough to nip through most of the London congestion and get me out of town super fast, has enough torque for satisfying urban overtaking, and the engine seems to sip oil even though some of my commutes involve it being ridden up to red line for 30 miles of motorway. Handles nicely and the position is very comfortable for all-day riding. No numbing vibrations, even when ridden at max speed (up to 67mph but only if there's a strong wind from behind). The slim tyres really don't like riding over the white lines when filtering, which is when the handling isn't so nice. That's the only time when I wish I had a bigger bike. Good torque for urban overtaking. Lack of vibration at top speed is another plus point. The little engine is very tolerant of being ridden at max throttle. I'm happy to cruise along the motorway at 60-65mph. The exhaust started getting rust marks at the slightest bit of rain, even though washed every week. Another niggle is the gear sometimes won't shift into neutral, which is a bit irritating during a long wait at traffic lights. Other than that, no complaints. I get 400km between fill-ups, which means fewer stops at the petrol station than many bigger bikes. I could get quite a bit more but I never trust vehicle fuel gauges. Plus I'm lucky enough to have Doble as my dealer, who don't rip you off. The dealer threw in a handy top box. It's good that the bike comes with a centre stand, gear indicator and rev counter. At this price you don't really expect a lot of equipment. Has all it needs, really. Got the bike from Doble in Coulsdon - a reputable dealer who really know how to look after their customers. I got a good deal from them. I didn't actually own this bike, it was a hire after I was knocked off my own bike. I really wanted to like this bike after previously owning a 2004 CG125 which I consider this bike's predecessor. As soon as I sat on the CB it felt familiar: same ergonomics, seat height, even almost the same colour. However, as soon as I started it, the criticisms came in, and I've ended up being really disappointed with it. But maybe that's because I went in full of nostalgia. Overall, for an affordable first bike for a young person (who's probably much much lighter than me) it'd probably be perfect, but this review is about how I found it. Somehow Honda have made it even worse than it used to be. It's now fuel injected and apparently been retuned for slightly more low down torque but it still feels like they lost 3 or 4 horses to Tesco's ready meals. It's saving grace is that there's next to no vibrations even when redlining it in 4th uphill, and on a nice day with a tailwind it'd do 45mph constantly. The clutch really lets it down though. It bounces out of 1st and 2nd without a care in the world, which is not good when you needed to make a quick change. It felt like I was setting off in 2nd gear from the lights at all times, and when setting off, the biting point was so vague 99% of the time I went straight through it and got thrown around as it suddenly threw power straight on. Actual materials quality is questionable. It's only about 6 months old and almost all the chromed parts are scabby and rusty. The black painted exhaust is the same. The plastics and metal on the tank, fairings, tail unit and headlight look spot on though. The engine paint also seems to be holding up. Reliability-wise, it hasn't failed to start once while I've had it and any times it's stalled have been down to me getting used to the clutch. There's about a quarter turn on the throttle before it starts to pick up on this one which I never got used to. Drinks fuel like no-one's business. My own bike, an MT-125 probably uses about 2/3 of the fuel this one does every month and has more power. This is probably down to me having to rev the CB to the redline constantly to get any kind of speed out of it. The MT also has a smaller fuel tank and I had to fill the CB up two times more in the month and a half I had it than I would have had to the MT. Fuel gauge, rev counter, standard switchgear. Good mirrors, surprisingly. It's one of only two bikes I've been on where I didn't have to contort myself to see what was going on in them. Would I buy another Honda? The brakes work as expected and the ride quality is quite good with the shocks absorbing most of the bumps in the road. The engine is quiet and the level of engine vibration is low. I do not believe that the average British consumer would expect to have to change the chain and sprockets after less than 5,000 miles. These are starting to add up given that I have had to replace the chain and sprockets after less than 5,000 miles. The gear indicator is a very useful feature. Purchases from a dealer who provided a good service. I've done 1700km on it and I think it's a good, economic commuter. Not many parts are available yet, especially exhausts. Brakes aren't anything special but do the job. Skidded twice when breaking hard, be careful. Ride quality is fine, only thing I find the seat is somewhat uncomfortable. I tend to slide forward into the gas tank. Good low end torque for a 125cc. Max speed I achieved was 115kph, I weigh 61kg. Uses about 2.2l / 100km when doing urban commuting and is tax-free. I expect to ride about 3500km every year. Very basic but has everything you need. Gear indicator is useful. Fuel gauge is somewhat unreliable. Mine stays at 100% voor 150km then drops to 0 within 250km but I got used to it. Would not recommend this bike. 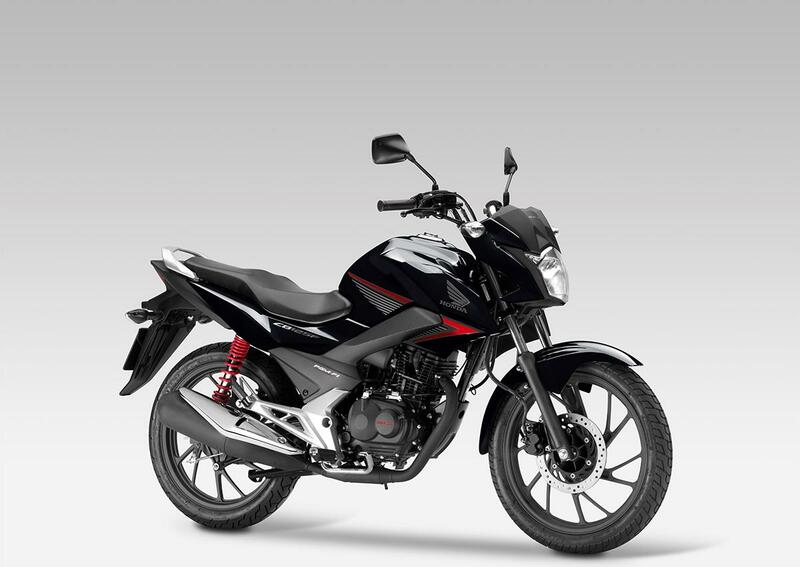 Get the bike that has a history of reliability like the cbf125. My 2015 cb125f broke within 6,000 miles. I'm being blamed for not taking the bike for a service every 6 weeks. Should a bike be written off after 6,000 miles? I say no. First service at 600 miles a whopping £100. Just an oil change. Expect more from that. Careful, this is a new model, hence has not yet got any history of reliability. It is not the same engine as the very successful cbf125 and it suffers on two fronts. 1. It's slower 2. If the engine is damaged you won't be able to replace it with the older cbf125 and repair costs will be astronomical if you're not covered by the warranty. It's pretty good, I'm probably one of the heaviest users of this bike and I've got to say that brakes stop well and the ride is fine. It's pretty smooth. So why it's working its impressive. Would like a little more top end speed but who doesn't. Mine broke down after just over 5,000 miles. Still waiting to resolve the problem. Built very sensibly with the beginner rider in mind. Gear display is a great touch. Bought from dealer for £2,500. Came with AA breakdown and 2 year warranty. But be very careful, warranty is invalidated if you don't keep up with the service schedule. So depending on your daily mileage, really consider this hidden cost. Because if you do many miles as I do it will eat into any savings you make. Wish I could give 5 star !!!!! Seat is not very good. It tends push you forward into the saddle. This puts weight on your arms. Possibly because of the skinny tyres the ride feels a bit hard & bumpy. I bought this bike because I got fed up with the small wheels on my last three scooters. Disappointing. Mine had some slightly rusty bolts on delivery. How come its £45 dearer on insurance (Honda Ins) than the 400cc Forza I px'd it for? Certainly be shopping around when it is due. Even as an experienced rider I find the gear indicator useful. No cut out switch & no overtaking switch but not needed !! Part exchanged 2 year Forza and got cash back. paid full price. Can't fault dealer. This is the Perfect Geared Learner Bike for my son and I after a 50cc Moped, Its easy to ride, handles nicely, light steering with a 45 deg turn for around town and mini roundabouts, Useful things like a Gear Indicator are handy for novices and nice big indicator dash lights, headlights are powerful after dim scooter ones! With Fuel injection it runs perfect from cold. Low seat height and very nice upright position. The Gear box is very positive, light clutch, no false neutrals yet. The bike definitely inspires confidence. It looks really good in the naked style and isnt too small for my 6ft 4in Son, he thinks it looks cool and the Pearlescent White version looks great with the Black and Red detail. This bike is fun, you want to jump on to it on a Sunday Morning for a drive down the country lanes...the fuel Gauge just never seems to move either! 150 mpg I can believe. Good front Disc and rear Drum is fine, 18 inch wheels ride well over bumps etc. Its a firm ride but the rear shock does have 5 adjustments which we have yet to try out. Front fork takes most things in its stride. Very smooth, sounds good, revs very easily and effortlessly and with Fuel Injection it runs from cold faultlessly. Its got a nice thrum but is not too noisy either. Well built, feels solid and usual Honda build quality, 2 years warranty and recovery gives peace of mind with Honda back up. Its a basic but nice Traditional Non digital Car like Dash, Big dials, Big indicator flashers, Gear indicator, easy to see everything. Has both a Kick and centre stand. Tyres are a bit skinny from a look perspective but nice smart Alloys in a Graphite finish. For the price its spot on. Tippetts Honda were very good and helpful, £2499 but included a £150 helmet so I was happy as its quite a new model. Great little commuter that's fun to ride on the open road. Had it just over a month now and is a joy to ride. Incredibly smooth engine for a single and doesn't mind being thrashed. Even at 65mph the engine is well over 8,000rpm but never feels it. Engine has a pleasing grumble to it as well. Good fun to thrash on the open road too! Ride quality can be a bit harsh but handles surprisingly well for such a budget bike. You can really flick it through the corners. Very smooth power delivery. No vibrations. Can struggle a bit with a headwind but plenty of torque to pull you up hills. Sits quite happily at 65mph on the redline. Quality is top notch being a Honda and I don't see it going wrong any time soon. Manages well over 100mpg even when thrashed. And cheap to tax and insure. It's basic but what do you expect? Dials are nice and clear and the gear position indicator is a nice touch. An accurate fuel gauge too which is a novelty. Top notch. Can't complain about Hondas customer service!